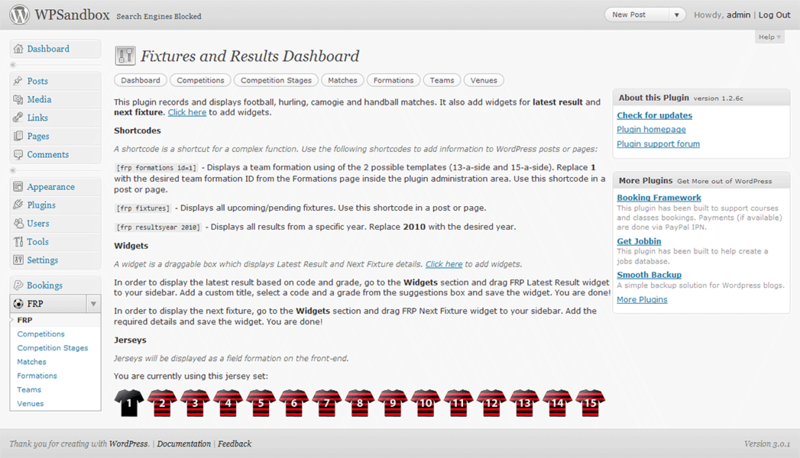 This Wordpress plugin stores competitions, matches, formations and players in a database for easy archiving and display of both retroactive and upcoming fixtures. 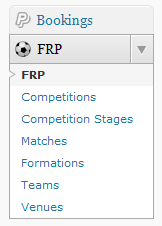 The plugin is setup with preexisting codes (football, hurling, camogie, handball) and grades. Some of the sport codes are country-specific. 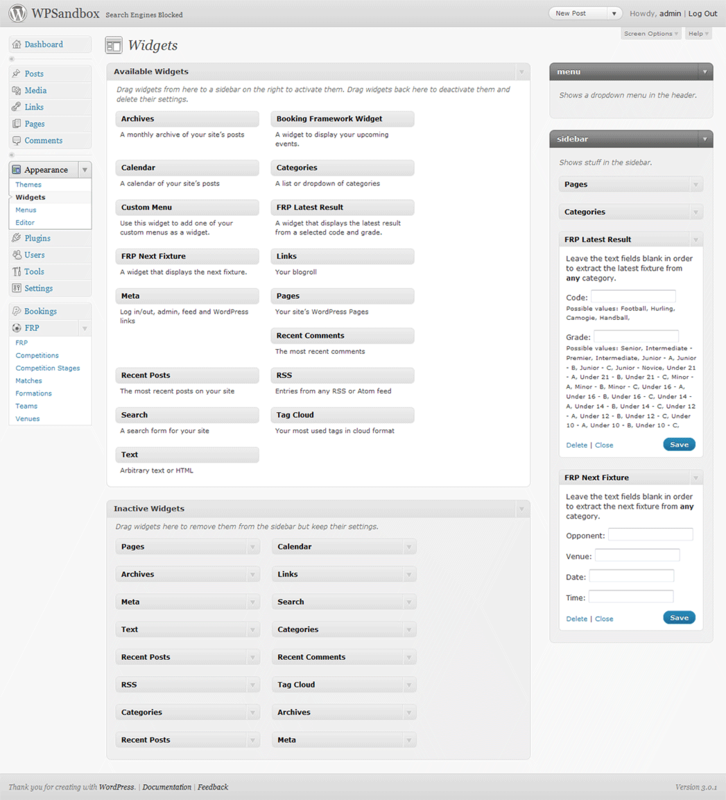 The plugin uses an advanced administration section, having its own top-level menu (FRP) inside Wordpress dashboard. Information is interlinked between sections, such as teams, formations, venues, competitions and matches. The plugin also offers 2 widgets, one showing the latest result (either generally, or manually filtered by the user) and the other showing the upcoming fixture (also generally, or manually filtered). Widgets can extract information from ALL matches or from SPECIFIC codes or grades. It features an auto-updatable player database and advanced widgets.